Climbing roses are not natural climbers, as they are not able to wrap themselves around supports by themselves, which means that you will need some sturdy method of attaching them to a support. They should be included in your rose garden, as they provide wonderful color without taking up too much space. 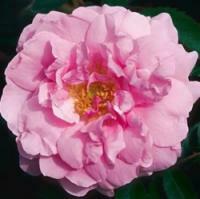 Large flowered climbing roses are different from rambling roses in that they have fewer, yet larger blooms. Now just consider for a moment.... some climbers can grow upto 40 feet up a tree, yes that's right, it is possible! However it's most likely that the majority of gardeners would prefer something a little more modest. Every rose is wonderful, and you may possibly say climbers have a further "reach". To fully appreciate how wonderful roses can be, you need to sit back for a moment and visualize in your mind a large area of land such as that seen under the warm California sun. It happens to be a grapevine field, with row after row after row that needs to be filled. Now replace those grapevines with roses. Can you imagine what an amazing sight that would be! However, it's essential to pick your rose carefully, for one or two are only capable of tolerating small levels of sunshine, and will only bloom with the appropriate amount of sunshine. The climber will also require lots of space in order to spread its breathtaking beauty. Several climbers will grow taller and larger based on the weather conditions. 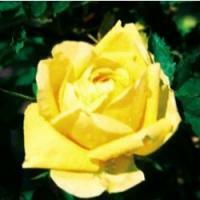 There are a number of questions to that you will need to consider: ' how frequently will you want your rose to bloom ', ' will you require a particular color theme for your climbers ', ' is it likely that you will need to treat it for pests indigenous to your area '. And just like many flowers and plants, the best time to carry out planting is at least 6 weeks ahead of the first hard frost, or in the spring or fall when the weather conditions are cooler, but not wintry. The American Climbing Rose is a large-flowered climber with rich salmon-pink blooms; with fully double blooms, it repeats summer into fall. 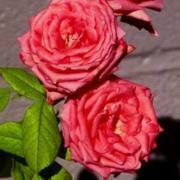 This amazing rose has a mild, strong fragrance and with its high disease resistance,it is a must-have in any garden. Because of its long canes, this rose is well adapted to training on pillars, fences, arbors, and gazebos. Also can be used in containers, for beds and borders, or on slopes. A vigorous, rapid grower, it is best planted in full sun. You could very well start off your plant inside the home and then transfer it to the garden when the conditions are more favorable. Erect a teepee of timber poles; ensure that the height of the legs match ythe size of your container; then wind nylon wire or string in a criss-cross fashion around the poles to provide the plant somewhere to grab hold of as it winds its way up the poles. A simple idea to use with climbers is a trellis which can be made of wood or plastic, although a plastic surface will be more difficult for the climber to hold onto. The way in which you use your climbing roses is only limited by your imagination. They can be used to cover arches, pillars, fences, pergolas, walls, sheds and old trees that have seen better days. Persian Yellow Rose, Rosa foetida persiana, provides a burst of early color as brilliant golden-yellow flowers are borne along the length of its vigorous canes, and a strong, deep and heavy licorice scent is released from the golden petals. leathery foliage. The trailing red canes of this Explorer Series rose are equally spectacular whether trellised or allowed to roam. Carried in clusters of up to seventeen, each 3 1/2" blossom opens its outer petals nearly flat, to frame the clear pink center, before opening fully to the scent of spice.